The was time when searching information in the Internet meant passing through dangerous areas. Almost all ads were unpleasant blinking banners and accidental ads in the left and right panels of your browser. And there were no Adblock. Since then advertising in the Internet has significantly evolved with constant increasing of new users preferring online purchasing. Internet advertising from tasteless, disturbing advertisements became the huge multibillion industry with variety of ads. Key historical facts. How it all began from the first mobile phone to 4G Internet connection. In 1979 was invented first 1G analog for mobile connection and it was introduced in Tokyo. In 1990 in USA mobile coverage rate reached 5 000 000 subscribers. In 1991 in North America mobile coverage rate reached 10 million subscribers. Digital cellular network 2G was created in Finland. In 1992 the first text messages appeared. In 1993 IBM Simon was developed. It’s ancestor of smartphone. Appearance of the first banner ad. In 1996 first mobile phone with access to the Internet was created. In 1999 the first mobile phone with WAP browser appeared. In 2000 is the year of the first conference regarding mobile advertising. The same year Google launched Google Adwords. In 2001 3G mobile connection was launched in Japan. Later this year new phone with Bluetooth appeared. In 2002 the level of mobile coverage in USA reached 134 000 000 subscribers. The first mobile phone with full colored screen and integrated camera was created. Year 2007 is the evolution pick. Such flagships as Google Android and Apple iPhone saw the light. 2009 4G net was launched in Stockholm. Expenses on mobile ad reached $416 000 000 annually. In 2011 expanses for mobile advertising reached 743 million dollars, and to the end of the year exceeded amount of $1 102 000 000 annually. Apple sold 55 million of iPad and more than 150 million of iPhone. 2012 can be called as technological breakthrough of both mobile advertising, and Internet advertising. 50 % of the mobile devices owners in USA used smartphones. This is year of Apple iPhone 5 launch. Facebook launched platform for advertising on mobile devices. In 2014 iPhone 6 and iPhone 6 plus with increased and enhanced screens, processor A8/М8с, cameras with focus system accelerated twice because of special pixels were introduced. A year later iPhone 6s and iPhone 6s were introduced with processor A9/M9, screen technology 3D Touch and software technologies Live Photo. Future is here and now in 2017 iPhone 8, iPhone 8 Plus и iPhone X were launched. After such fast intromission mobile in our life, advertisers started to search possibilities of permanent contact with buyers with help of mobile messengers WhatsApp, Viber, Telegram and mobile marketing at large. It means that arbitrageurs started to search new approaches in their work for achievement of the maximum profit with obtained traffic. Social networks have turned upside down world of online advertising, that is why it’s very interesting to observe main stages of its development. No doubt, Internet advertising for very short period has leapfrogged namely because of the social networks. Let’s start from Facebook, as with whom else we can start our story about social networks? 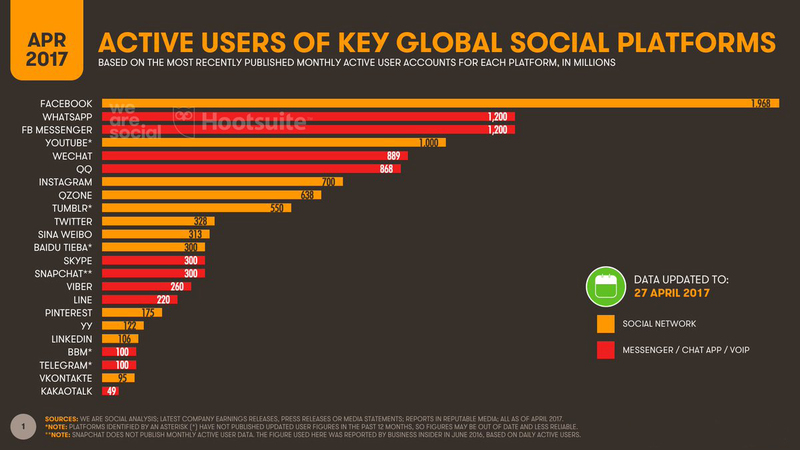 According to last data, 76 % of the world population are registered in Facebook. Impressive? This fact makes this platform an ideal place for advertising. In 2017 lots of Russian arbitrageurs on the wave of trend started to work dynamically namely with this platform. But it’s not all that simple, the wave of bans became more rapid, so it turned out to be more difficult to work with this platform. Lots of arbitrageurs decided to be back, but the majority continued to work with Facebook. It’s worth noticing, that bid in the other traffic sources significantly decreased, and in accordance it became easier to work with such verticals as Popunder, as they have no big competitions. YouTube was established in 2005. At the end of 2005 service reached the numbers of 8 million views in a day. In 2006 this number grown to 100 million. In October 2006 YouTube was bought by Google for 1.65 billion of dollars. In 2007 YouTube was launched in 9 countries. At the same time mobile version of service was launched. Besides, this year became a year of introducing of ad to video and establishment of YouTube’s affiliated program. In 2009 and 2010 YouTube began communication with the main production centers regarding introduction of full-sized movies and TV show. 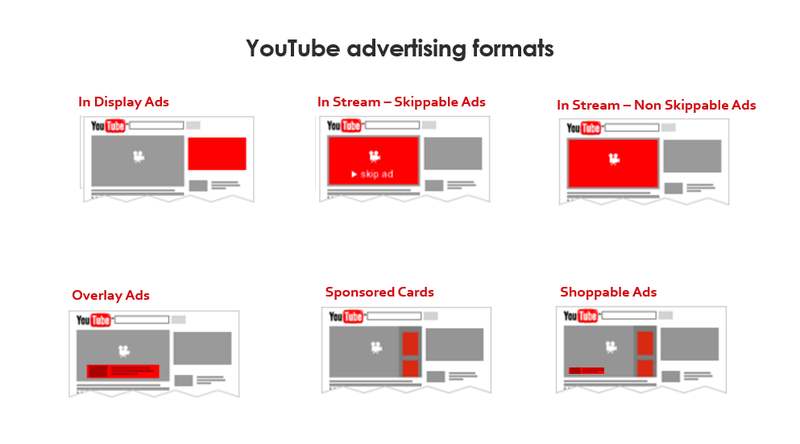 In 2017 YouTube became the most popular platform of video and advertising. VKontakte started to work in summer 2006, Pavel Durov was the founder of it. In September beta version was launched, it is usage of finished version for errors revealing before final launch. On October 1, 2006 domain vkontakte.ru was registered, and official launch day was October 10. At that times the project was launched as “closed”. Only students with invitation could register under their really name and surname. At that point of time main services were active, as search, profile set up, place of study selection, personal messages, photo albums. Possibility to tag people on photos was novelty for Russian section of Internet. On November 5 year 2007 three millionth user registered and at the end of the year Vkontakte gave way only to mail.ru. At the end of 2010 user count approached to 100 million. In 2017 user count continuous to grow, for lots of Russian arbitrageurs this platform was early stages in money making on online ad. 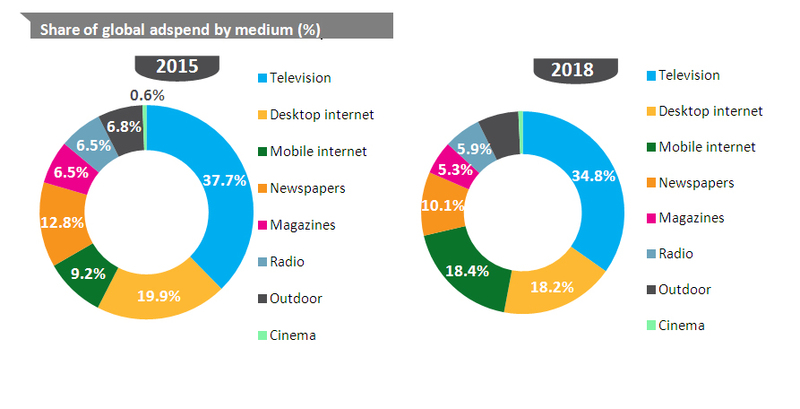 Development of the market of Internet ad will definitely be connected with development of new platforms and traffic sources, and inventing of new promotion methods. I think, you already noted when arbitrageurs used celebrities’ promotional materials in social media and created purchase funnel with usage of targeted advertising and ad in popular public pages. This is great formula of successful campaign. All these methods are very efficient for now. Besides, in the era of viral marketing it is the best way of advertising. In addition to, only social networks can influence the history of the Internet advertising development. Currently, development of artificial intelligence is running at a full speed, there are a lot of programs and bots that daily view ads and moderate its quality. As we wrote above, Internet ad is developing, and new ways of earnings are being invented. And search of the new ways has ended with appearance of Popup and Popunder. Exactly in that period they became really popular, this format is more effective and it’s more difficult for users to ignore it. Different scripts increasing site conversion have appeared, as well as retargeting by users and creation of purchase funnel by marketing touches until it performs desired action. Popup accrued when user was trying to continue to a site. In pop up window could be ad of other product or lid-form. When pop up windows became irritating, new modification of them accrued, it is popunder alike system, but window comes under main browser’s window. Invention of popunder format company ExitExchange ascribes to itself. Founder and chief of ExitExchange is Andrew Vilcauskas. Although, this format is uncomfortable and obtrusive, its purpose was to attract user’s attention, which banners couldn’t do. And it worked! However, very soon pop-up blockers, also known as аdblock, were invented, and this format lost its effectivity, but anyway it works up to today and its profitable for many companies and arbitrageurs. It became hot when monetization system Wap-click was launched at the market. This is system of mobile traffic monetization, and quality of monetization depends on quantity of actions which are necessary to do by users for converting. How does this system work? Once should hit the teaser, continue to site and hit button “Next”, “Enter”, “Look” or “Play”. There are hundreds on versions how to make user hit the screen, even if there is header “Close” there would be an envelope. Moreover, wap-click is totally legal and “white” system. On the wap-click’s page you can find the offer and Terms & Conditions. The second advantage of this monetization scheme is that user doesn’t need any downloads and installation of any content. In 2012 the IOS market share already exceeded 50 % views from mobile devices, so it was decided to monetize this audience. Only java and android devices had been monetized before. Banners effectivity has reduced nowadays, but up to now it occupies significant market share. The main reason is low click-through ratio, so called “Banner blindness”. People simply started to ignore banners as this type of advertising for decades of using has built up a tolerance in Internet users. Lots of advertisers started to actively use new methods of conversion increasing. Retargeting is one of them, it is advertising tool with help of which online ad is directed to users who already have seen advertised product by visiting of advertiser web-page. From the user point of view retargeting is receptive demonstration of the Internet ad of the previously visited websites by them. Technology of Real Time Bidding (RTB) was developed by Jason Knapp. As we go forward, it becomes more obvious that this development can change internet marketing. According to Business Insider in 2010 the grows RTB made 4 %, in 2011 this factor increased up to 10%, and in 2012 sales made 16% of banners sales volume. If these ad development trends would continue, this number will make 34%. RTB is unique because advertiser pays for result, only for what he wants to get. How does it work? User opens a site, the site right away is sending information about the user (age, gender, region, etc.) to RTB exchange. During several milliseconds, thanks to special software, advertisers stake on. In no time winner is announced, which ad is shown to unsuspecting user, before he even knows it. In 2014 the growth of RTB was notices literally in geometric progression. Nexage informed about earnings grow on 37% monthly. Adfonic noticed requests and biddings increasing by 22 billion dollars. To sum up, we managed to understand that development of mobile and Internet advertising is still developing, and year after year more and more ways of users monetizing are launched.